Mobile World Congress could have been Samsung’s big moment to put 2016 behind it once and for all with a brand new flagship handset. Instead, the company is using the world’s biggest smartphone show to debut two distinctly different – yet decidedly Samsungy — takes on the largely staid tablet space. The company was certainly up front about the fact that the Galaxy S8 would have to wait for its own standalone announcement at an event next month, instead issuing an invite that hinted at the release of a new slate that early rumors suggested would serve as the long awaited followup to 2015’s Galaxy Tab S2. And, indeed, the Galaxy Tab S3 has hit the stage in Barcelona, as planned, bringing a familiar Android interface, with some hardware tweaks and peripheral updates that are well in line with the company’s other Galaxy offerings. 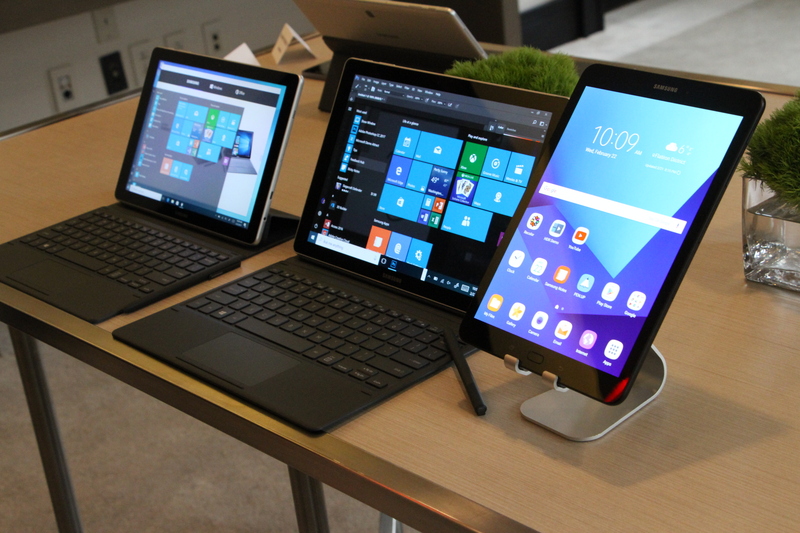 Slightly more surprising, however, is the addition of another device to the ever-growing universe of Galaxy products, the Galaxy Book, a Windows-based convertible meant to compete more directly with the likes of Microsoft’s Surface line. The Galaxy Tab S3 and Galaxy Book are targeted at distinctly different audiences – the former is a more traditional approach, aimed at content consumption, with a 2048 x 1536 display capable of HDR playback – the current buzzword in display technology that was once so dominated by talk of 4K. The system also features auto-calibrated speakers, designed to reposition based on how the system is being held. 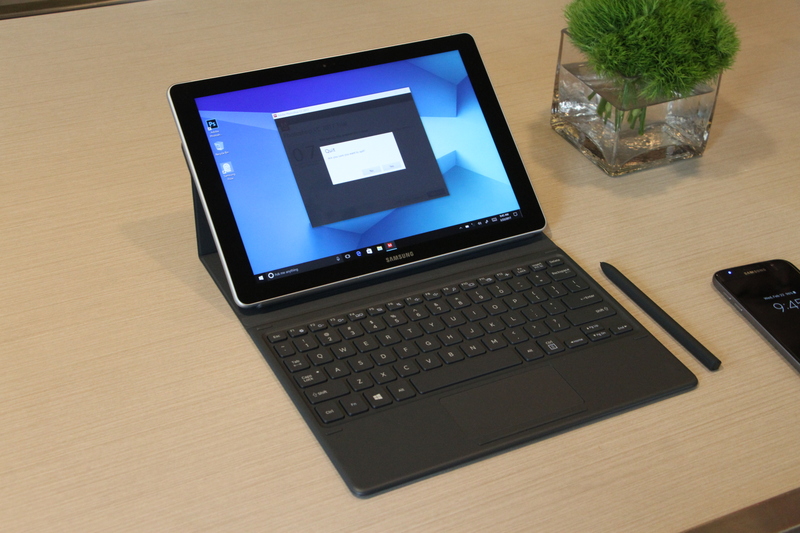 The Galaxy Books (available in both 10- and 12-inch models), meanwhile, run Windows 10 on Intel processors with enough fire power to execute an app like PhotoShop with no lag. A partnership with Adobe, meanwhile, adds new functionality to the S-Pen, like tilt, which lets the drawer make different designs by adjusting the stylus’s angle. Of course, there’s still overlap between the systems. The Tab S3 also uses the S3 for content creation (though it’s more akin to what you’ll see on the Note, versus a borderline serious artistic tool) and the company is offering up the Pogo, one of the nicest tablet keyboard cases I’ve used, trading in the felt cover with responsive keys featuring honest to goodness tactility. The products join a similar announcement from Samsung last month at CES when the company showed off of a pair of new Chromebooks created in partnership with Google that brought S-Pen-like technology and Google Play access to the line. It’s hard not to see a fair amount of overlap in the company’s approach to the space, but then, that’s never been an issue in camp Samsung, where the model has always been more machete than scalpel. “The theme of doing more is consistent across all OSes,” Senior Product Marketing Maanager Hassan Anjum told TechCrunch, when pressed about redundancy. 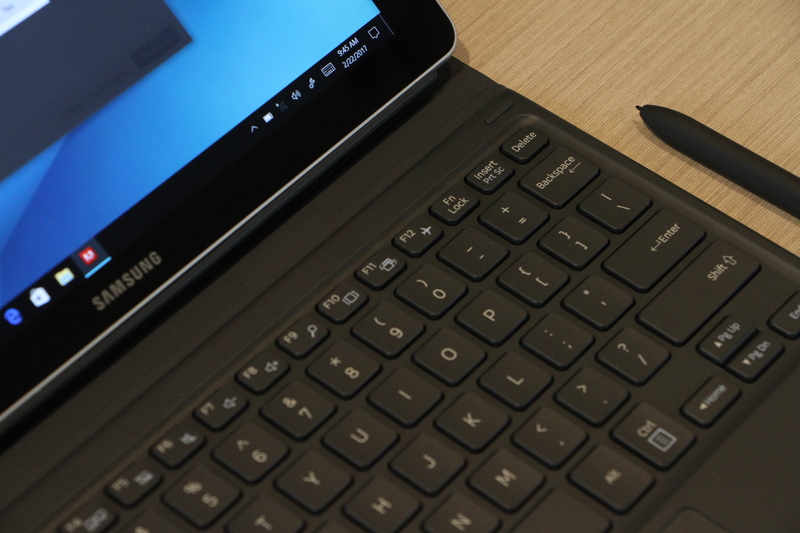 “At Samsung, we’re really proud to give the consumer the choice.” In this case, that means similar functionality across Chrome OS, Android and Windows 10, right down to the S-Pen (or, in the case of the Chromebook, the stylus that definitely isn’t an S-Pen). As Samsung regroups after a troubled 2016, it seems like an odd time to double down on tablets – numbers from firms like Strategy Analytics point to a contracting market dominated, unsurprisingly by Apple, with rare signs of growth from budget devices like Amazon’s fire line. Pricing has yet to be announced, but it seems a pretty safe bet that the two new tablets won’t come cheap. The company has long couched its tablets as premium devices, meant to compete directly with the iPad (and now the Surface/iPad), rather than the myriad Android slates that have flooded the market. The new hardware certainly keeps to that model, with the Tab S3 offering an even more premium build that its predecessors. As with CES, the announcement feels like a bit of a stopgap, as the company readies its next big smartphone.